The debates over mobile web, native code, and hybrid mobile apps may never end, but one thing everyone can agree on is that we can’t build mobile apps fast enough. Low-code development platforms take a visual, drag-and-drop approach to building apps, allowing developers to deliver applications faster at lower costs. The difficulty and cost of mobile app development have not escaped the notice of innovative companies. 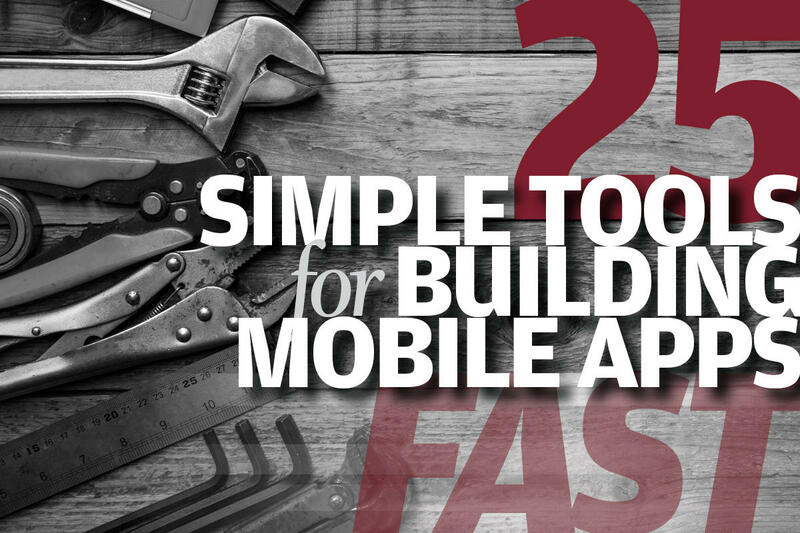 InfoWorld presents 25 low-code builders for mobile applications, in no particular order. Some of them target more than one mobile platform; some target web applications as well. Many have a business process orientation. All are aimed at getting your mobile application development project up and running quickly. AppGyver Composer 2 is a web-based builder and hosting service for hybrid iOS and Android multipage apps. Based on the Supersonic UI framework, AppGyver offers native UI elements—page transitions, modals, navigation bars, tab bars, drawers, and more—to achieve a native look and feel in a hybrid app. You can create apps starting with one of a half-dozen templates, or from scratch using modules and components. If you want to write code, you can create custom modules. Your app can receive numeric and text data from a variety of sources. 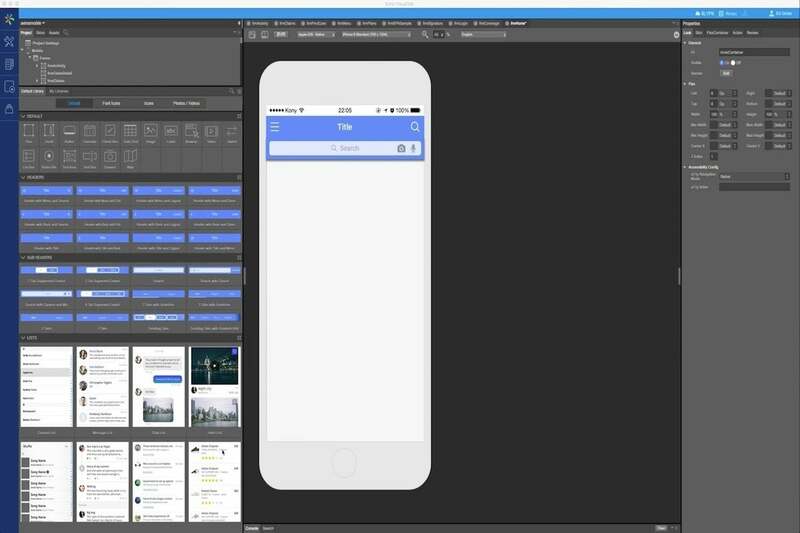 A companion app can preview and test your work on an iOS or Android device. When the app is ready for prime time, you can submit your builds to Apple’s App Store and Google’s Play Store, including via private channels for internal enterprise distribution. AppGyver has three pricing plans: Business at €499 per month for one app, or €899 for two or three; Scale for up to 10 apps at £1999 per month; or Enterprise, from £4,999 per month for 30 apps, and €167 per additional app. 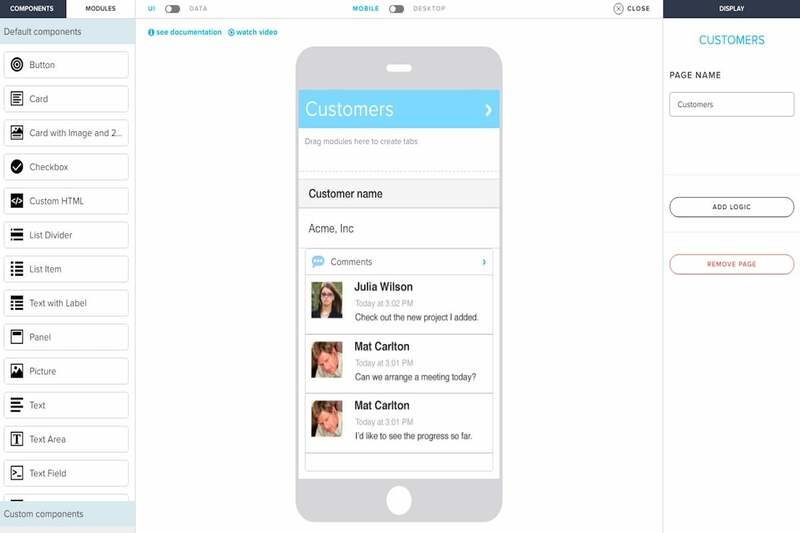 At a much more advanced level, Salesforce Mobile SDKs make it possible to access Salesforce data from native and hybrid apps, and Mobile Design Templates let developers create decent-looking mobile app pages. 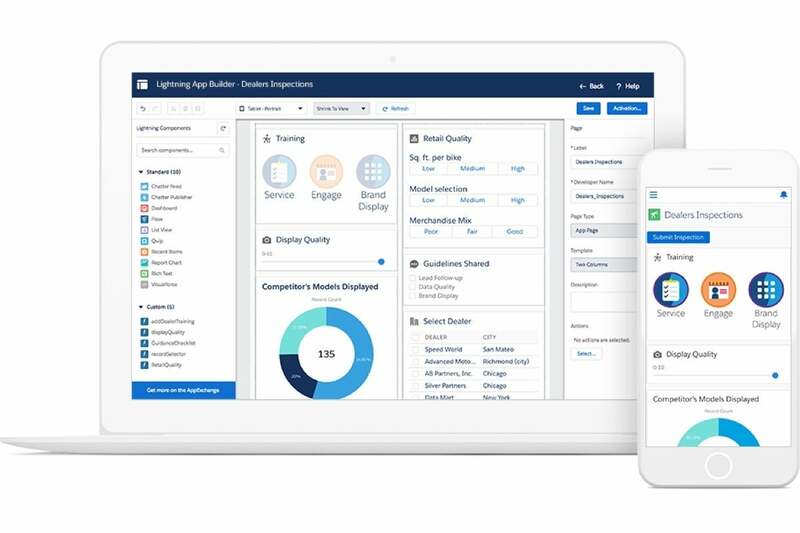 In between these options, Salesforce’s Lightning App Builder, Components, and Design System allow for easy creation of modern enterprise apps for desktops, tablets, and mobile devices. Salesforce Platform costs from $25 per user per app per month. 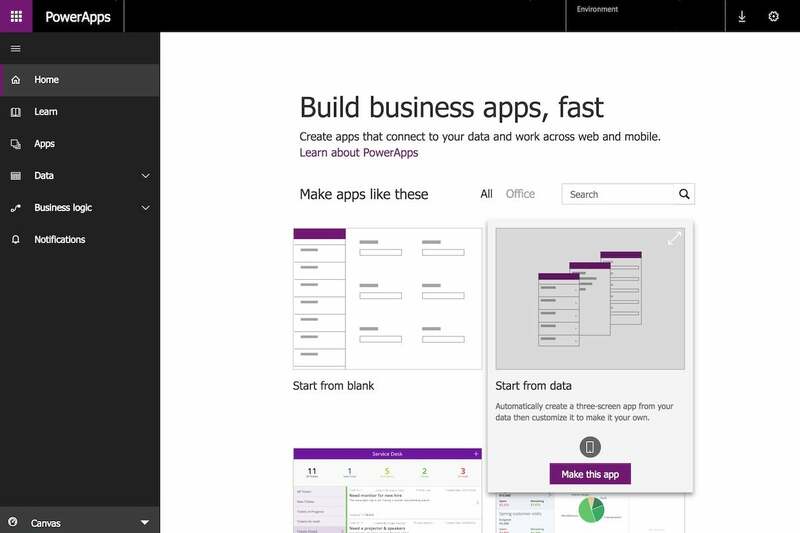 Microsoft PowerApps is an easy-to-use tool to build apps on top of SharePoint Online or Dynamics 365 data and publish them to the web, iOS, Android, or Windows 10. 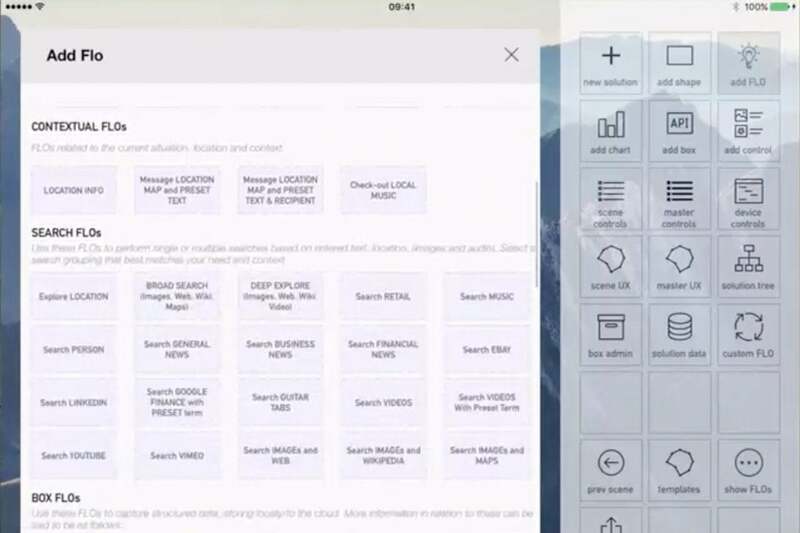 PowerApps offers two approaches to app design. In the simplest, model-driven apps are automatically generated by analyzing your data through the Common Data Service for Apps. You can then customize the design and publish your app. More sophisticated but more time-consuming are canvas apps, where you drag and drop controls onto screens to design the interactions yourself. 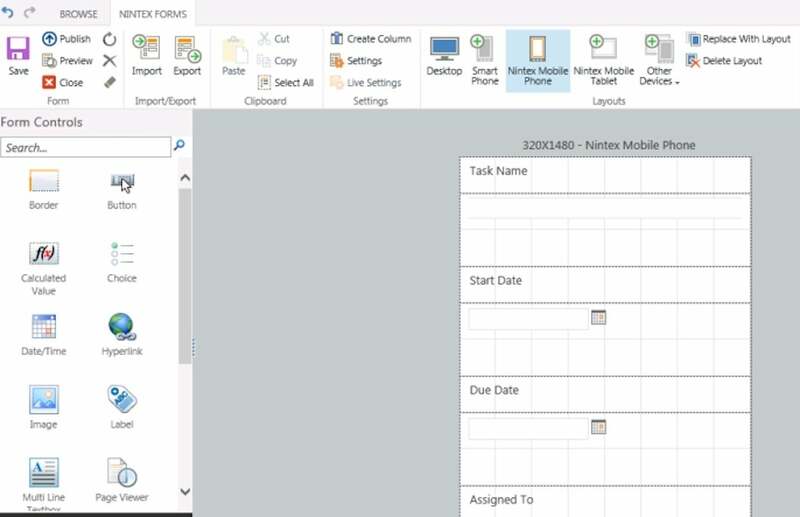 PowerApps is included with some Office 365 and Dynamics 365 plans; paid plans adding capabilities such as connection to external data sources cost from $7 per user per month. OutSystems provides a low-code rapid application development and delivery platform that generates responsive web apps. These can access mobile devices’ native capabilities through OutSystems Now, a hybrid app that aggregates all of an organization’s mobile apps inside a native application shell. Server side, it generates .Net or Java code, depending on your choice of platform. The OutSystems development environment runs on Windows; the platform can run on Windows and IIS or Linux and a Java application server. 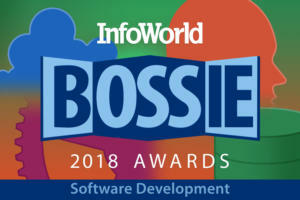 OutSystems can integrate with SOAP web services, REST APIs, major databases, SAP, and cloud systems such as Facebook, Twitter, LinkedIn, Dropbox, and Google Drive. OutSystems recognizes that learning to use the system can be a daunting task—it compares it to Frodo Baggins’s epic journey into Mordor in the Lord of the Ringstrilogy—but offers a wealth of learning tools, including guided paths, courses, and webinars online, and also classroom training. To speed application development, it also provides a repository of reusable application modules, connectors and components, OutSystems Forge. OutSystems has a development environment; paid subscriptions start at $5,400 per month for three environments (dev, test, and prod) running in OutSystems’s cloud. Alpha Anywhere is a database-oriented, rapid app development tool that can create web and hybrid mobile apps that even work offline. It does this by helping developers create the client and back-end elements in parallel. Alpha Anywhere has its own database engine, but also includes drivers for back ends including Microsoft SQL Server, Access, Excel, MySQL, Oracle, and DB2. For SQL databases, you can let its SQL Genie generate the code for CRUD operations, or dive in and edit the SQL statement yourself. Alpha’s support for offline operation in HTML5 mobile apps simplifies the development of data conflict resolution logic, so it’s not just a case of last in wins. Alpha Anywhere from Alpha Software costs $995 per year for a dev-only environment, or from $4,995 per year for a basic self-hosted build-and-deploy system. On the back end, access to identity, orchestration, and sync services is provided by Kony Fabric, which uses a microservices model to simplify service reuse across applications. 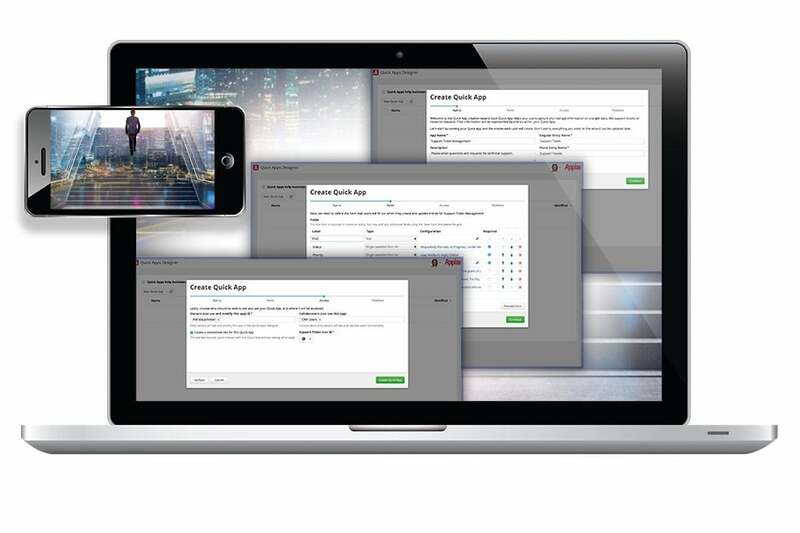 Kony AppPlatform comes in two editions: a free one good for one app and 100 users, with no automated backups or support, and an Enterprise edition starting at $2,500 per month for 250 business users (or 10,000 consumer users) and unlimited apps, with automated backups, failover, uptime guarantees, and 9-5 support. 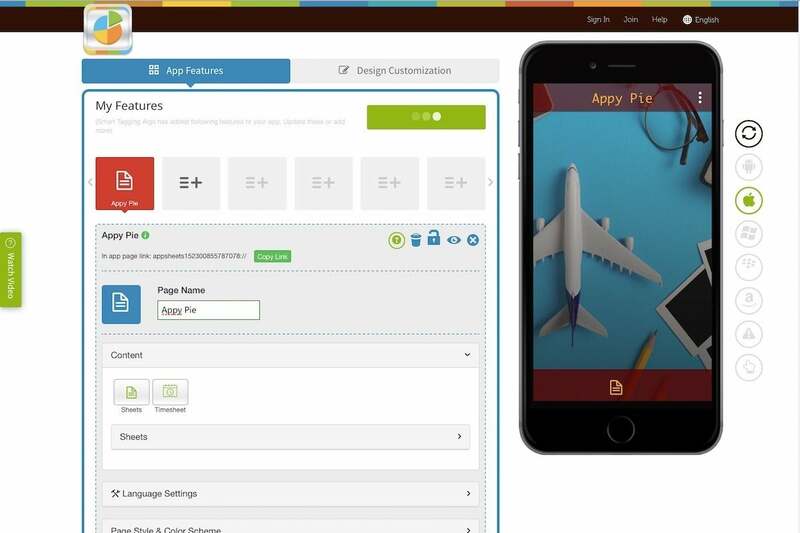 Appery.io has a visual editor in which developers can combine jQuery Mobile, Ionic, AngularJS, Bootstrap, and HTML5 components to build responsive web apps—and also hybrid apps for iOS and Android based on Apache Cordova (the open source tool behind Adobe PhoneGap). The web-based IDE includes integrated back-end services such as push notifications, file management, a cloud database, and user registration and management with support for social identities from Facebook, Twitter, and Google. 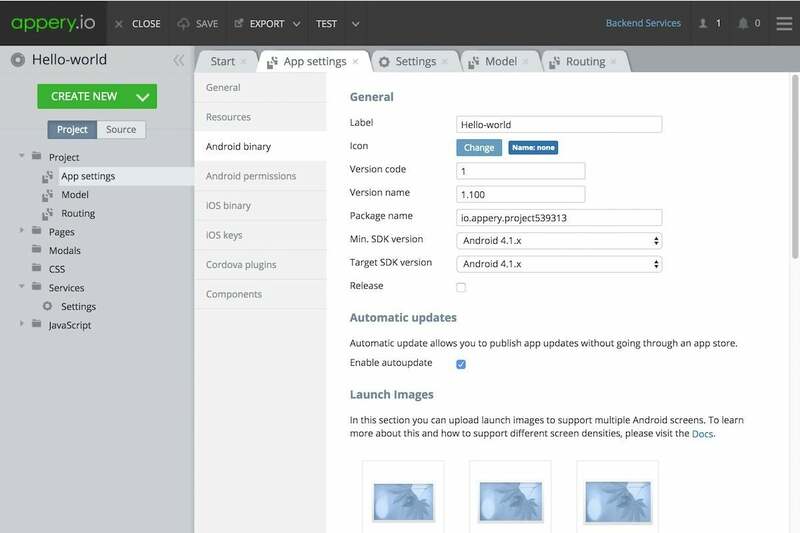 Appery.io offers a cloud-based builder service that can submit apps directly to Google Play, the Apple Store, or enterprise app markets—and then if automatic updates are enabled it can update the apps directly without going via the store. It also a mobile tester for demonstrating or testing native apps without installing them. In addition to its own REST APIs, Appery.io’s API Express feature can also create REST APIs for SQL databases and legacy assets, allowing access to be metered and monitored. Appery.io costs $60 per month for a single developer of up to three apps or $135 per month for up to six developer seats and seven apps, with custom pricing for enterprises needing more capacity. 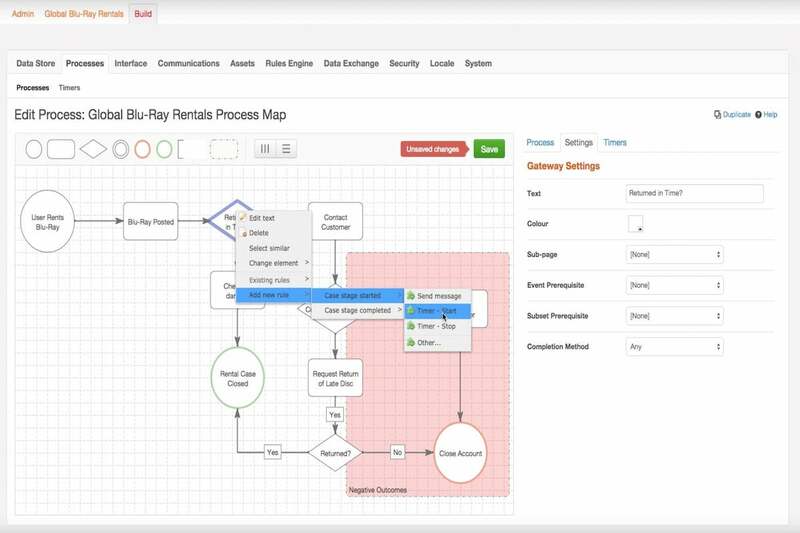 Cotham Technologies has a cloud-based development platform that offers visual design tools for wire-framing (FloWire) and drag-and-drop (FloPro) app design. 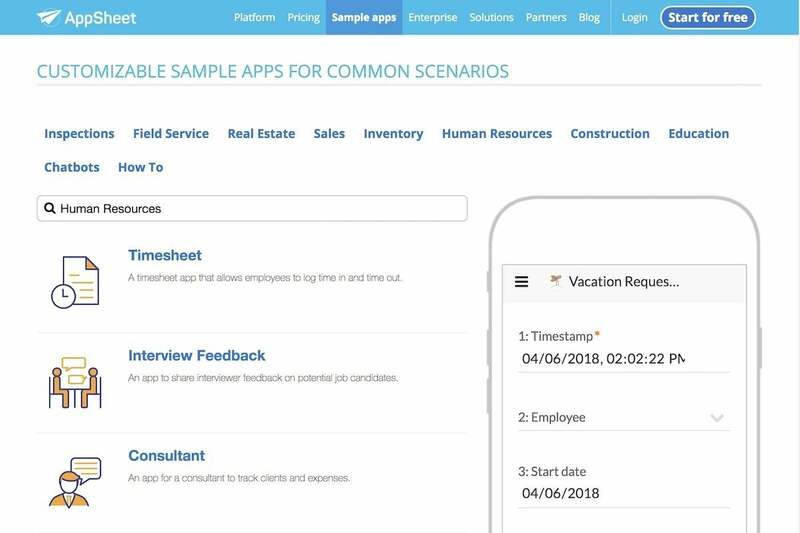 The FloFrame platform can create enterprise native apps for functions such as field service, field sales, maintenance, and logistics. It includes built-in integration with cloud services such as Dropbox, and with other services via REST APIs. Cotham Technologies’ cost depends on the application. Appian has parlayed its business process management product into a mobile app development platform after about two years of intense development. With a process modeler, mobile, and user experience development, and cloud deployment, Appian lets developers build and deploy iOS, Android, and web apps. Appian apps feature collaboration, event monitoring, task management, business data access, reports with charts, multimedia capture, and layered security with SAML authentication. You might want to consider Appian to support an employee population of power users, designers, and developers; if you have a need to enforce workflows; if you want to build web and mobile apps from the same platform; and if you need to connect to enterprise systems of record such as SAP, Siebel, and Salesforce. You might want to look elsewhere if you are building consumer apps, or if you just want WYSIWYG layout and a no-compromise offline mobile user experience. Read InfoWorld’s full review of the Appian Platform. Appian Platform, Appian, starts at $90 per user per month for a single application, or $180 per user per month with no limit on applications. Zoho Creator is built on Zoho’s CRM and custom-web-app platform, and lets businesses automate workflows on mobile devices. 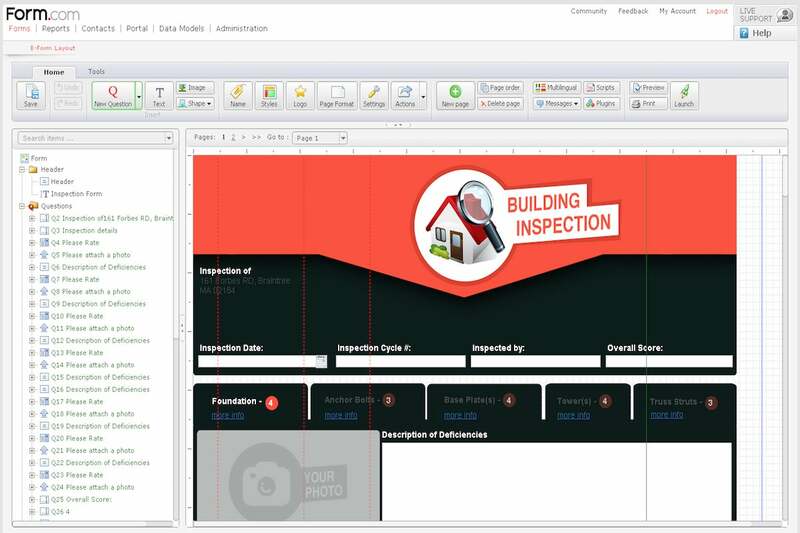 It provides more than 50 template apps that can be customized, or you can build your own using a drag-and-drop interface and Zoho’s own scripting language, Deluge. There are also integrations with Twilio, QuickBooks, PayPal, Google’s G-Suite, and Zoho’s own web apps, including CRM, help desk, and bookkeeping. Zoho Creator costs from $10 per user per month for up to three apps and 25,000 records, up to $35 per user per month for unlimited users and records and additional features including premium support and integration with Active Directory and a payment gateway. EachScape is free to start but costs based on usage when you are ready to publish. API Builder combines a framework for building mobile APIs with an elastically scalable cloud service for running them. There are connectors for Salesforce, Microsoft Azure, MySQL, Mongo DB, Box, Swagger, and others. Appcelerator also provides ready-made back-end services for geolocation, photo storage, authentication, key value pair storage, and others. 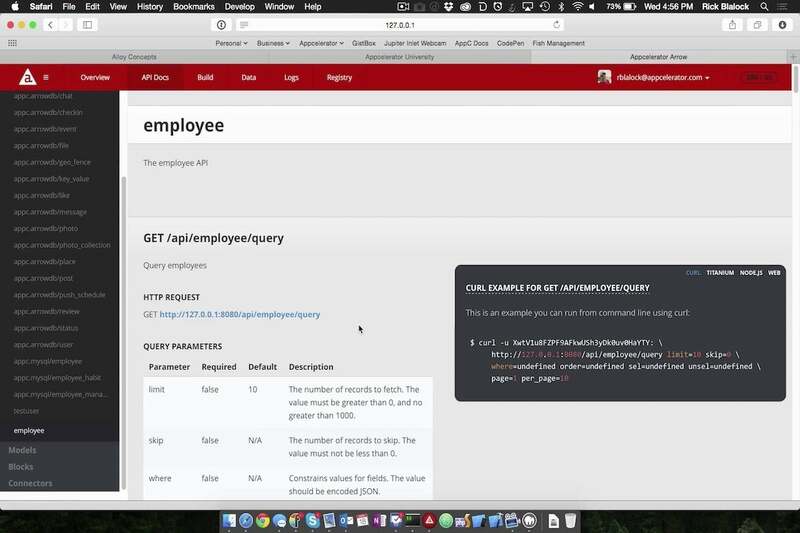 Appcelerator offers free access to the Titanium SDK, API Builder and basic analytics, charging $99 per seat per month for access to collaboration tools, App Designer, App Preview, and a longer analytics history. Additional features are available in an costlier Enterprise package. If all you want to do is put your spreadsheet-based app on your employees’ (or customers’) mobile devices, look no further than AppSheet. It claims that you can build a mobile app in minutes based on data held in Google Sheets and Forms; Excel on Office365, Dropbox, Box, or OneDrive; Salesforce; Smartsheet; or AWS DynamoDB. Features available include GPS and maps integration; image, signature, and barcode capture; offline access; and email notifications. AppSheet charges a flat rate for apps that are publicly accessible—$50 per month per app destined for app store distribution, less if there will be fewer than 100 users—while apps for closed groups are charged per user, from $1 to $10 per month depending on the number of data sources and security required. Swiftic, formerly Como DIY, offers an online design tool for small businesses to build apps incorporating e-commerce stores, form submissions, notifications, social media integration, and more. The package includes apps for Android and iOS, a mobile web app, and a landing page, and it includes assistance with app promotion and publication, and customer analytics. Just don’t expect integration with your ERP or CRM back end. Swiftic’s cost depends on contract duration, beginning at $57 per app per month, and decreasing for longer periods. Bizagi is a BPM vendor that has built its Windows-based business process modeler into a web and mobile web app development system with the addition of virtual data modeling, intuitive forms and user interface design, workflow modeling, and an app-building wizard. 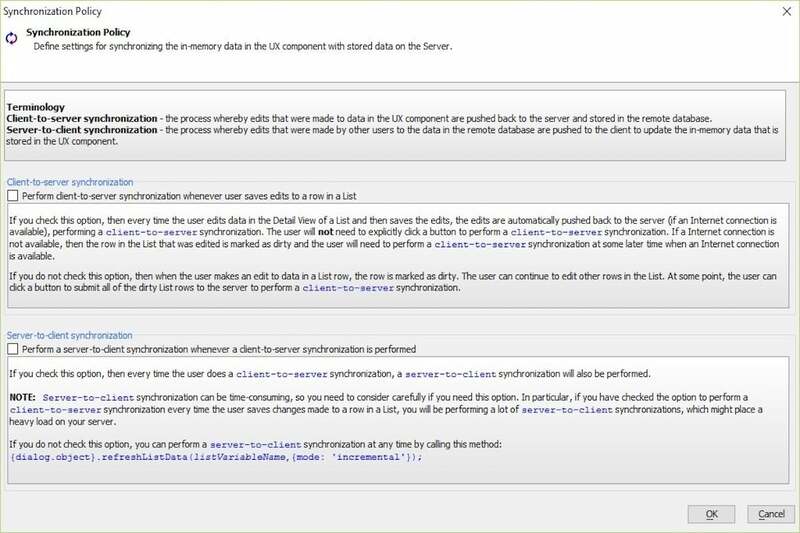 At runtime, web apps talk to a presentation layer that is ultimately driven by the model as interpreted by the Bizagi Engine, which runs either on .Net or Java EE. 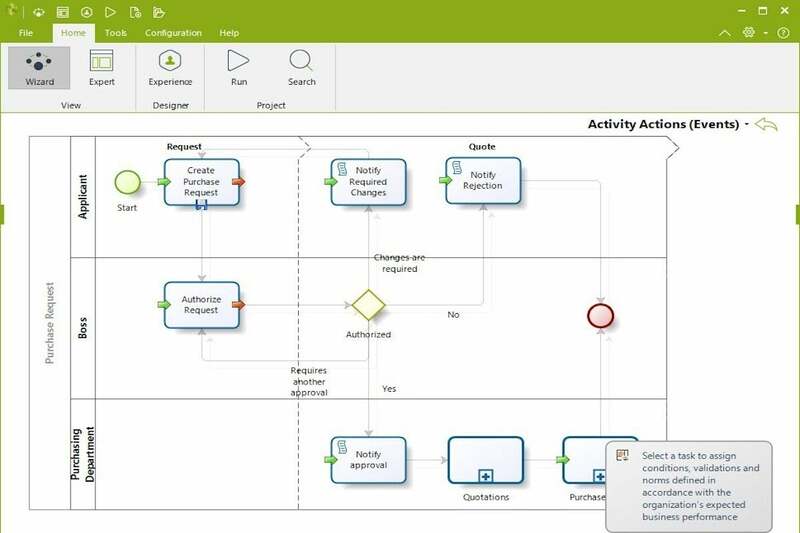 Bizagi Modeler, the process modelling tool, is free; the cost varies for Bizagi Studio, the app creator, and Bizagi Engine. K2 uses a drag-and-drop interface to create reusable online forms and to integrate them with multiuser workflows. These can be connected with systems such as Salesforce and SharePoint. Mobile users can take advantage of offline forms and sync to back-end systems when they are online. 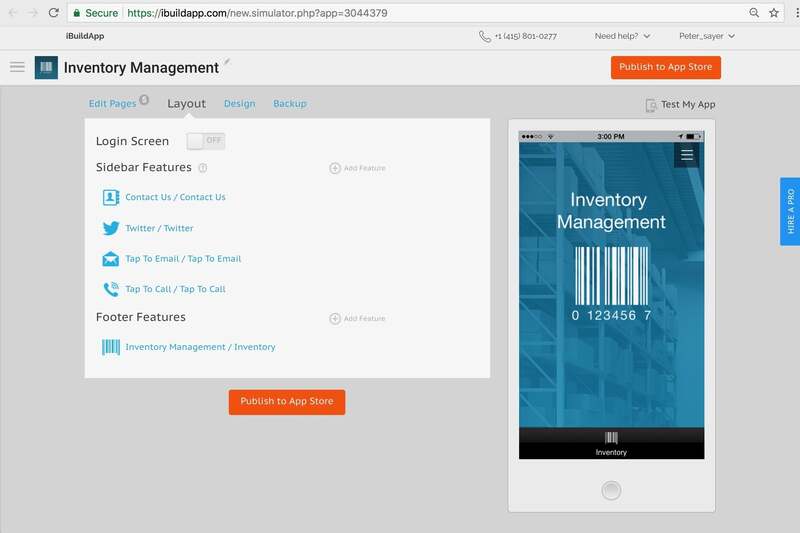 The forms’ responsive design makes them usable on different mobile platforms, and K2 also provides access to native device capabilities such as barcode scanning, geolocation, photo capture, and on-device app integration. K2’s Starter tier costs $12 per user per month for up to five workflows and 25 forms, and is only available in the cloud. Higher tiers can also be installed on premises or in a private cloud, and their costs range from $18 to $30 per user per month for 25 to 1000 workflows and 125 to 5000 forms. ViziApps has a free trial for build and test, then costs $39 to $199 per app per month for up to 30 users; additional charges apply for more users or design support. MATS is a low-code BPM app builder with a rapid drag-and-drop design environment. It has strong process modeling and automation capabilities, as well as UI and form designers that produce responsive user experiences. 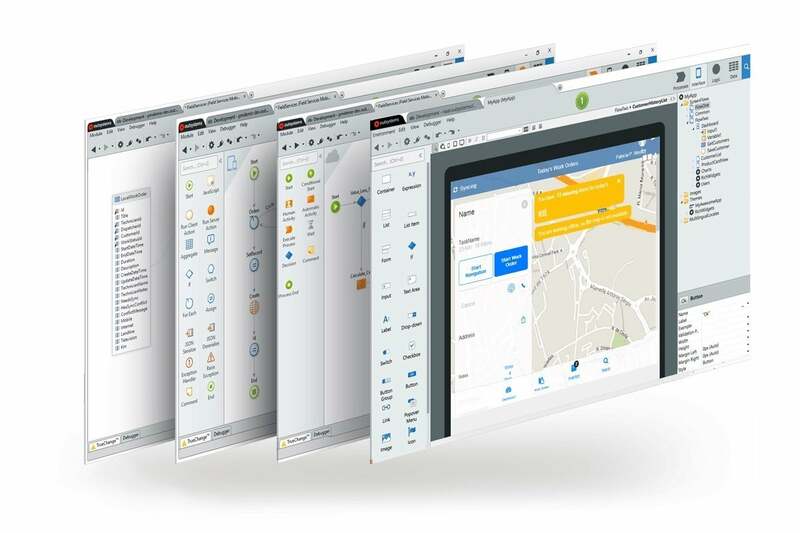 It can also produce mobile apps for iOS and Android, do real-time reporting and analytics, and integrate with legacy systems and services such as Microsoft Dynamics, Oracle, Salesforce, and SAP. MATS can be deployed in a secure cloud or on premises. MatsSoft offers MATS BPM for a variable cost based on users, usage, or reward sharing, or at a flat, negotiated rate for usage across the enterprise. 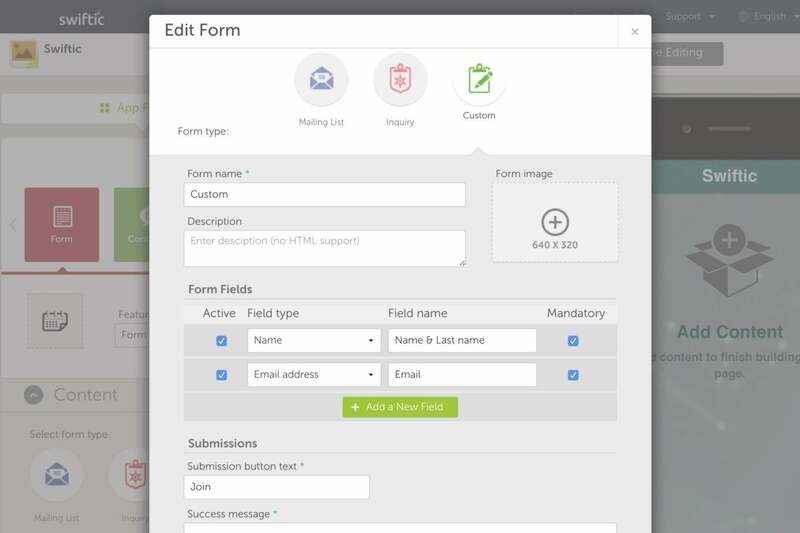 Form.com is a web-based enterprise platform for creating web and mobile forms, combining a drag-and-drop forms builder and flexible back-end technology. The builder can create new forms or replicate existing paper forms, set up process-specific workflow and API integration, embed logical transitions, allow the capture of images in the forms, capture digital signatures, and enable form-field autofill. Finished mobile forms can collect information when disconnected and transfer the collected information when the connection has been restored. Form.com’s cost varies with the number of users and administrators accessing the app. Mendix offers a web-based tool for simple, WYSIWYG application development, and a Windows desktop tool for adding more complex logic and integrations. Together, they can build apps accessible from the desktop, phones, and tablets using the Mendix Atlas UI. The company offers support for offline-enabled apps and recently introduced the concept of “nanoflows”—client-based application logic that will run online or offline. Mendix allows continuous delivery and can integrate with Jenkins or other existing devops tools. You can deploy a Mendix app to the Mendix, AWS, Azure IBM, Pivotal, or SAP clouds, or to your own datacenter. 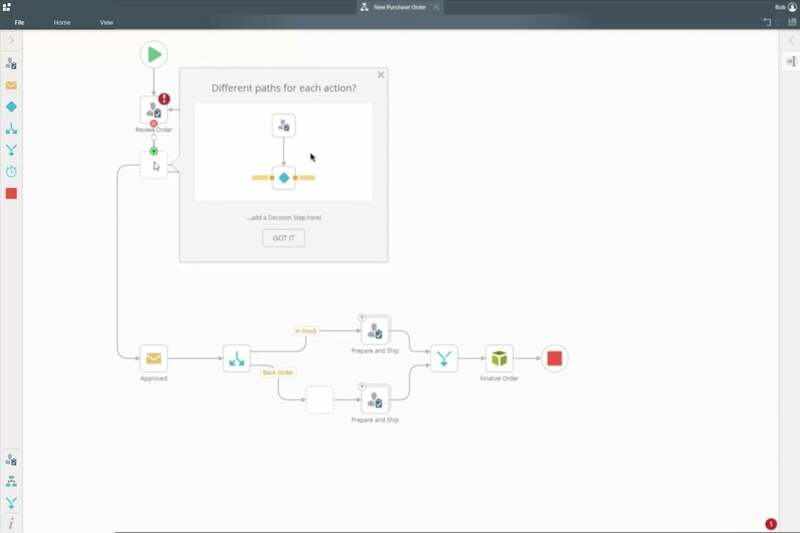 Mendix is free for an app with up to 10 internal users running in one environment in the Mendix cloud. For more users, more environments, support, or an SLA you’ll need to pay, starting at $1,875 per month for one application. From $5,375 per month you can run unlimited applications in the Mendix cloud, and from $7,825 per month you can run them in other private clouds. The back-end component can be deployed on premises or in a private cloud, and is also offered as an application-platform-as-a-service. 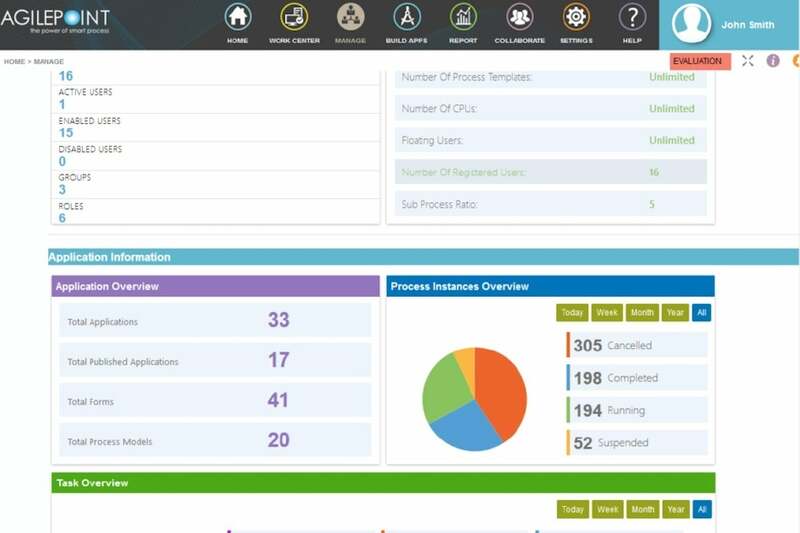 There’s a management console that provides real-time reporting with the ability to manage workflows, apps, and access. AgilePoint NX costs $10 to $165 per user per month depending on the number of apps and type of license (SharePoint or Enterprise, named or concurrent seats); over a certain usage volume, the cost shifts to the number of server CPU cores needed to run the apps. Appy Pie offers about 100 features, including a form builder, push notifications, photo sharing, and in-app purchases. There’s a template for building apps directly on Google Spreadsheets, but that’s about as far as integration with your enterprise data is going to go. Appy Pie lets you create simple apps for free but costs from $15 to $50 per app per month to distribute them, depending on distribution channels. The $50 fee permits apps to distributed through the Google, Apple, Amazon, and Windows app stores. Nintex is a workflow automation product that works with Microsoft Office 365, SharePoint, and Project Server. 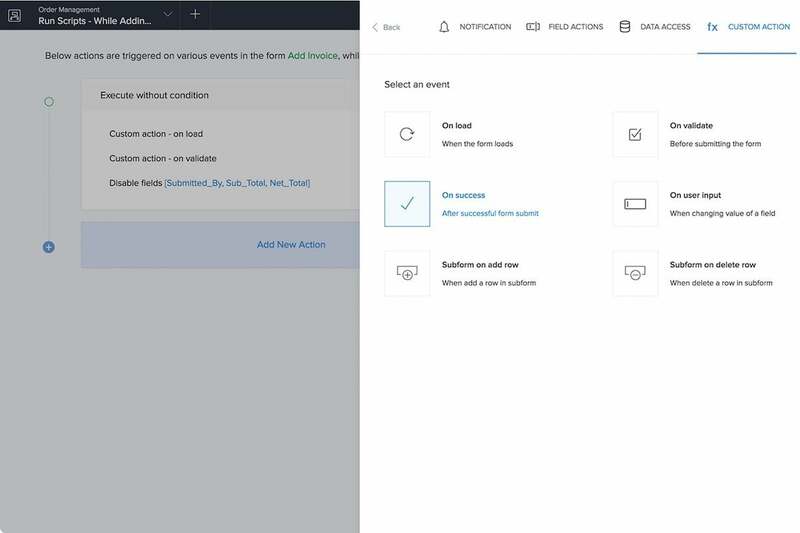 In addition to workflow design, Nintex supports forms, connectors to various business applications and content repositories, and mobile clients running iOS, Android, Windows Phone, and Windows. Nintex Mobile supports online and offline operation with real-time synchronization, and it accepts photos and videos as well as text input. Nintex is available in the cloud and for on-premises installation. Nintex Workflow starts at $625 per month for a starter pack of five workflows and 25 forms. Additional plans’ costs are tied to edition and usage. 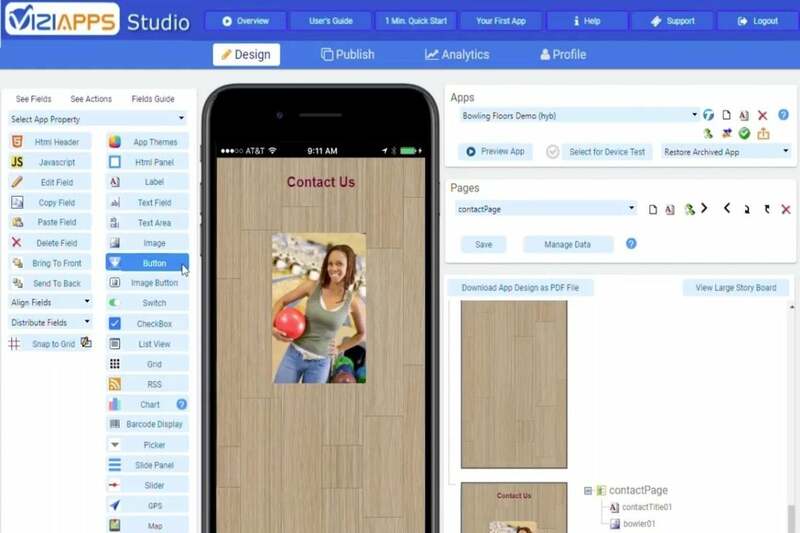 iBuildApp is a web builder that offers customizable templates for iPhone, iPad, and Android apps and promises that you can create an app in five minutes. For common app types, template-based systems such as iBuildApp can sometimes produce usable results, as long as the selection of widgets includes the functionality you need. iBuildApp’s cost is based on the number of apps and how they are distributed: Prices start at $23.40 per month for up to 500 downloads of a single app, or $59.40 for unlimited downloads; $395 per month for 10 or more apps distributed privately within an organization; or from $20,000 per year for 20 or more apps distributed through an online store. MicroPact Entellitrak is an application platform for building workflow and case management applications that provides strong support for modeling data and business entities. 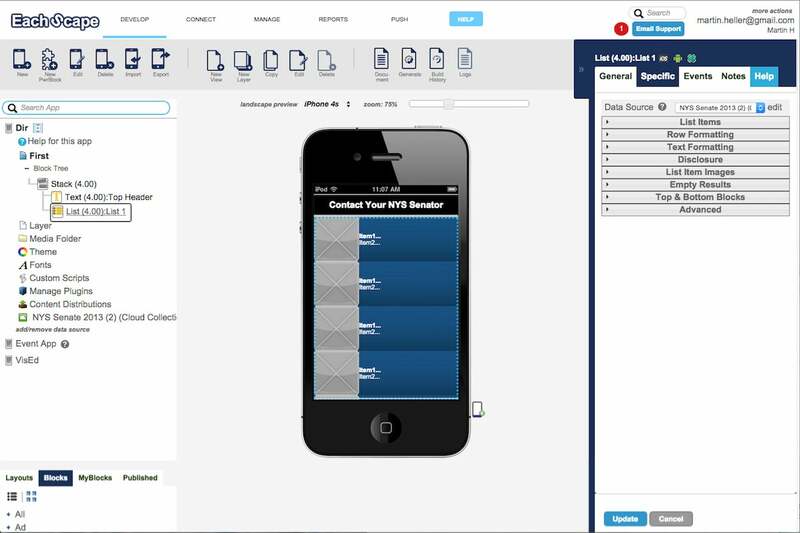 The mobile module enables Entellitrak apps to generate mobile versions of existing desktop forms, both for display and for data collection. There are more than 20 Entellitrak preconfigurations to use as starting points for applications, in addition to the from-scratch approach of starting with your data and building out the forms, reports, dashboards, and security rules. 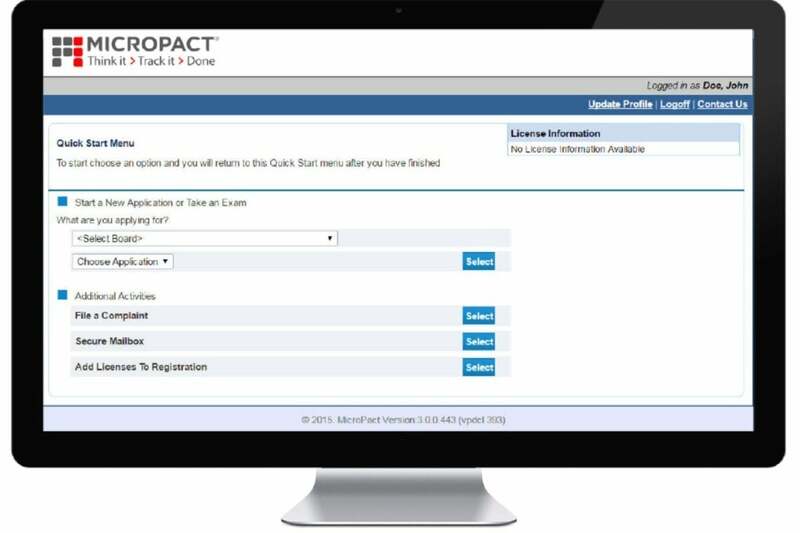 MicroPact Entellitrak is available to federal agencies under FedRAMP. The cost of MicroPact Entellitrak varies based on usage.